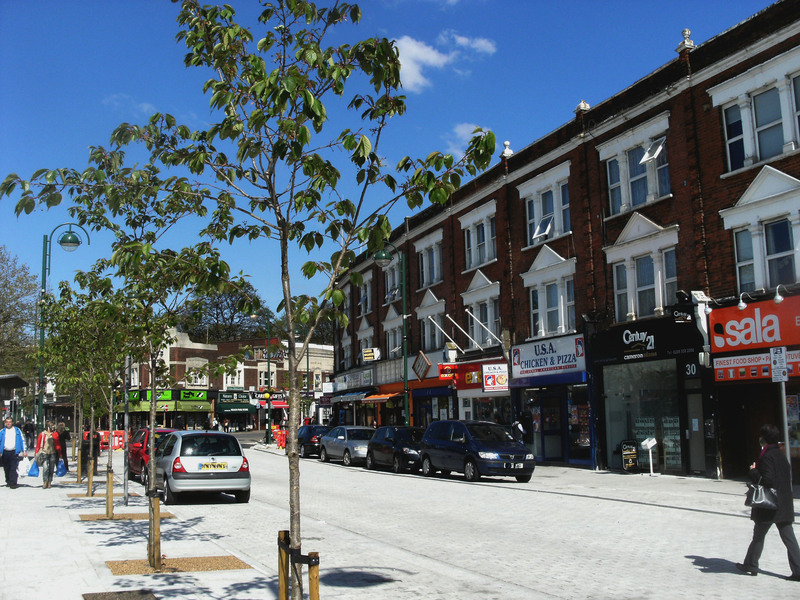 The last week or so has seen the finishing touches to the building work that has been going on the length of Leytonstone High Road, in the town centre and along Whipps Cross Road to give Leytonstone a new and brighter look ready for the Olympics. I haven’t managed to get photos of everything, the weather has not been so kind, but I’ve added a collection of photos showing most of the work and I’ve summarised some of the other main changes that have happened in the last year or so on New Look Leytonstone. A lot has happened, new pubs, a market, an art gallery and more and all against the backdrop of one of the most horrible recessions in living history. So, if you know someone thinking of moving to Leytonstone, investing here, or who just has a view of the area which is second hand or out of date, please share on Facebook, Twitter, Google+, by email or however you can and send them to this page, it might just help!